Runners and walkers of all ages awoke bright and early Monday morning for the annual Linden Woods Fall Classic around the south Winnipeg neighbourhood. 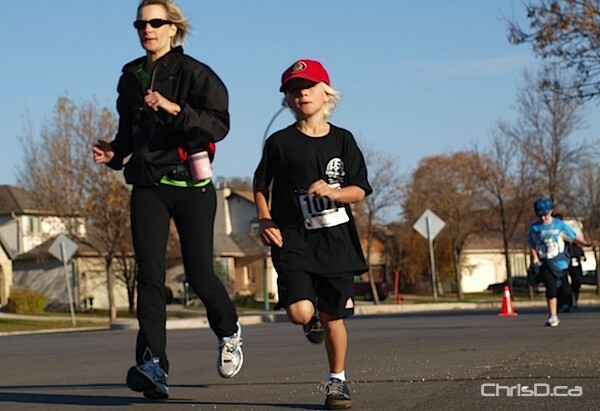 The 10 km race and 5 km fun run and family walk is put on by the École Van Walleghem School Parent Council and has raised over $68,000 for community programs since its inception. This year, the run will not only benefit Linden Woods, but other neighbourhoods throughout the city beyond its own borders. One of the recipients of the funds raised this year is the Pembina Trails School Division Breakfast Programs, which helps feed over 450 students in the division who would otherwise arrive at school hungry. The Linden Woods Community Centre will also receive financial support towards the construction of its full-size gymnasium.